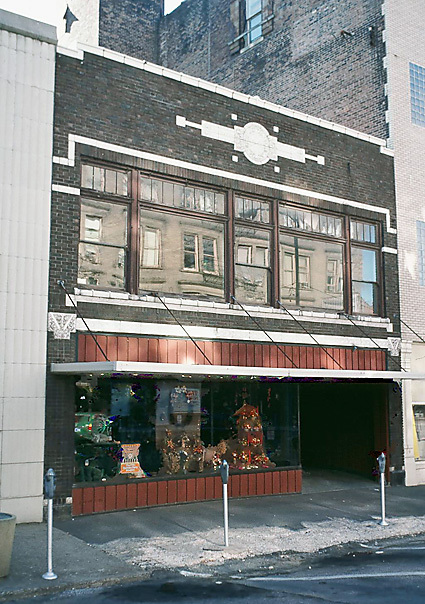 Two Burlington buildings are listed in Ronald Schmitt’s excellent book, Sullivanesque: one at 310 North Third Street, and another at 720 Jefferson Street. Both are listed as possessing stock terra cotta. This building might be one of the two Schmitt lists, or it may be an altogether different building. Photograph courtesy of Richard Kenyon.